10 Best Tourist Attractions in U.S.A. The United States has so many diverse cities and attractions that it is difficult to narrow down the list of only 10. The US boast an amazing amount of tourist attractions ranging from the skyscrapers of New York and Chicago, the natural wonders of Yellowstone and Alaska to the sunny beaches of California, Florida and Hawaii. There exists a wide range of tourist attractions in the United States such as amusement parks, festivals, gambling, golf courses, historical buildings and landmarks, hotels, museums, galleries, outdoor recreation, spas, restaurants and sports. With so many tourist attractions it’s tempting to list entire cities or even states, but here, we tried to focus on some specific attractions. Also known as National Capital Parks-Central is an administrative unit of the National Park Service encompassing many of the nation’s iconic public landmarks in the 1,000-plus acres of the National Mall and Memorial Parks, including the Washington, Lincoln, and Jefferson Memorials, and the Korean and Vietnam War Veterans Memorials. The Smithsonian Institution’s 19 museums are also adjacent to The Mal. Each year, millions of people visit the National Mall and Memorial Parks. There is no fee to visit any part of the National Mall and Memorial Parks. Visit if you want to enjoy the sights, exercise outdoors, or expand your mind. The Denali National Park and Preserve is located in Interior Alaska and contains Mount McKinley, the highest mountain in North America. The word “Denali” means “the high one” in the native Athabaskan language and refers to Mount McKinley. Denali habitat is a mix of forest at the lowest elevations, including deciduous taiga. The preserve is also home to tundra at middle elevations, and glaciers, rock, and snow at the highest elevations. The longest glacier is the Kahiltna Glacier. In addition, the park protects an incredible wilderness area that contains grizzly bears, caribou, moose, wolves, and numerous other creatures. The coral archipelago in southeast United States, the Florida Keys are a 120 mile long chain of tropical islands curving around the base of the Florida peninsula, connected to the mainland by a series of bridges. They have become a popular destination looking for a tropical vacation without leaving their own country. The most spectacular bridge, the Seven Mile Bridge in the Lower Keys, has been frequently used as a location for films including True Lies and Fast 2 Furious. US Highway 1, the “Overseas Highway” runs from Key Largo, Islamadora, Marathon, Lower Keys and finally to Key West, the most distant and most famous island. Kilauea is a shield volcano in the Hawaiian Islands, the most active of the five volcanoes that together form the island of Hawaii. It is a very low, flat shield volcano, vastly different in profile from the high, sharply sloping peaks of stratovolcanoes. The volcano became a tourist attraction from the 1840s onward and local businessmen such as Benjamin Pitman and George Lycurgus ran a series of hotels at the rim, the most famous of which is the Volcano House. One of the Greatest Water Falls in the World, Niagara Falls situated between the state of New York and the province of Ontario, Niagara Falls is one of the most spectacular natural wonders on the North American continent. Niagara Falls is actually three different falls, the American Falls, Bridal Veil Falls and Horseshoe Falls. Horseshoe Falls is located on the Canadian side while the other are located in New York. With more than 14 million visitors each year it is one of the most visited tourist attraction in the world. The Niagara Falls are renowned both for their beauty and as a valuable source of hydroelectric power. Considered the most beautiful, the most photographed, bridge in the world. The Golden Gate Bridge is a suspension bridge spanning the Golden Gate, the strait between San Francisco and Marin County to the north. The Golden Gate Bridge was the longest suspension bridge span in the world when it was completed in 1937, and has become an internationally recognized symbol of San Francisco and California. It has been declared one of the Wonders of the Modern World by the American Society of Civil Engineers. The famous red-orange color of the bridge was specifically chosen to make the bridge more easily visible through the thick fog that frequently shrouds the bridge. Located primarily in the U.S. state of Wyoming, and also extends into Montana and Idaho, The Yellowstone National Park was the world’s first national park, set aside in 1872 by the U.S. Congress to preserve the vast number of geysers, hot springs, and other thermal areas, as well as to protect the incredible wildlife and rugged beauty of the area. Yellowstone lies on top of a gigantic hotspot where light, hot, molten mantle rock rises towards the surface. Subsequently, the park contains half of all the world’s known geothermal features, with more than 10,000 examples of geysers and hot springs. In addition, black bears, grizzly bears, deer, elk, bison and wolves can all be found within the park borders. The gambling mecca of the world, Las Vegas is situated in the midst of the southern Nevada desert landscape. The Strip is not located within the City of Las Vegas but it passes through the unincorporated towns of Paradise and Winchester, which are south of the Las Vegas city limits. 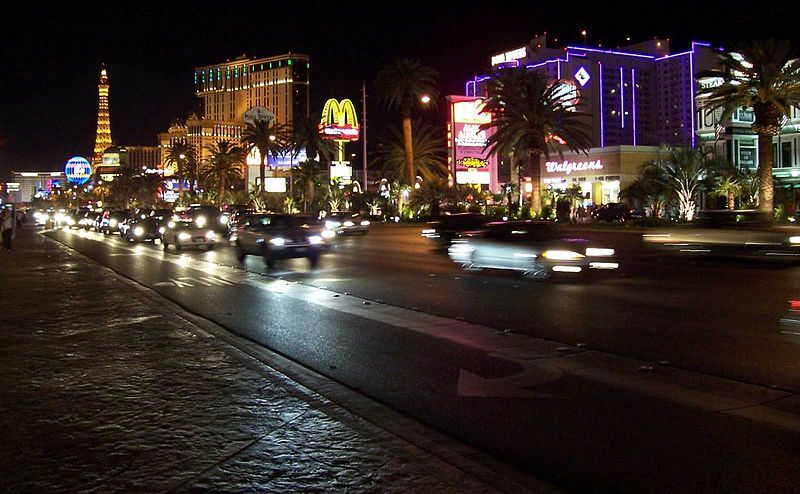 Casinos can be found throughout Las Vegas, but the strip, a stretch of Las Vegas Boulevard South, contains the most of them. It features giant mega-casino hotels, decorated with lavish care and attention to detail to create a fantasy-like atmosphere. The casinos often have names and themes that evoke romance, mystery, and far-away destination. One of the most visible aspects of Las Vegas’ cityscape is its use of dramatic architecture. These features has established the city as one of the most popular destinations for tourists. Located in northern Arizona, The Grand Canyon is one of the great tourist attractions in the United States. Carved by the Colorado River, the canyon attains a depth of over 1.6 km (1 mile) and 446 km (277 miles) long. The Grand Canyon is not the deepest or the longest canyon in the world but the overwhelming size and its intricate and colorful landscape offers visitor spectacular vistas that are unmatched throughout the world. It is considered one of the Seven Natural Wonders of the World. The world’s most visited tourist attraction, hosting over 39 million visitors annually. 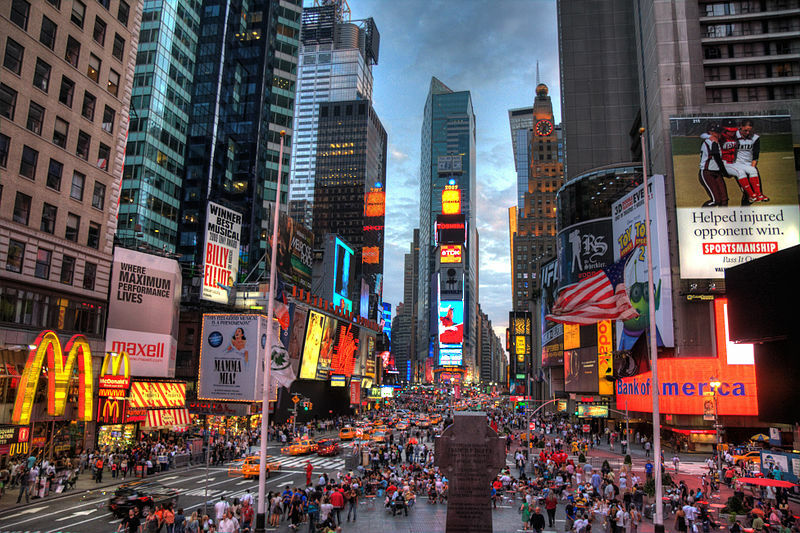 Approximately 300,000 people pass through Times Square daily. This Manhattan crossroads of commerce retains the top spot on our list, thanks to increased visitation to the Big Apple in 2008 despite the economic turndown. According to the Times Square Alliance, “80% of visitors to NYC make it a point to visit Times Square.” Times Square, the most bustling square of New York, is known for its many Broadway theatres, cinemas and super signs. It has all sorts of fun, exciting and informative tours to explore other parts of the city. You can Choose from walking, bike, bus, food, limo, TV, landmark, ethnic or water tours.